Despite fresh market aversion to risky trade-correlated currencies like the New Zealand Dollar (NZD), the Pound Sterling to New Zealand Dollar (GBP/NZD) exchange rate still trended lower today as fresh Brexit jitters weighed heavily on the Pound (GBP). While GBP/NZD has avoiding shedding most of last week’s impressive surge of over two cents, the pair is still trending almost a cent below the week’s opening levels of 1.9426. GBP/NZD briefly touched on a low of 1.9260 on Monday and has been unable to recover all of those losses. At the time of writing on Wednesday morning, Brexit uncertainty was keeping GBP/NZD relatively limp near the level of 1.9330. The Pound may have seen even further losses versus the New Zealand Dollar if the ‘Kiwi’ wasn’t also weakened by fresh market risk-aversion, amid fresh signs of tensions in US-China trade negotiations. A lack of certainty over if the Brexit process would be successfully delayed, with just 9 days until Britain is set to formally leave the EU, weighed heavily on the Pound today. Following last week’s Sterling surge as investors bet against a no-deal Brexit, the Pound has been weaker this week so far with other Brexit uncertainties flaring up again. The government’s attempt to hold a third meaningful Parliament vote on its Brexit plan was blocked, and now the government may clash with the EU over how long to delay the Brexit process for. 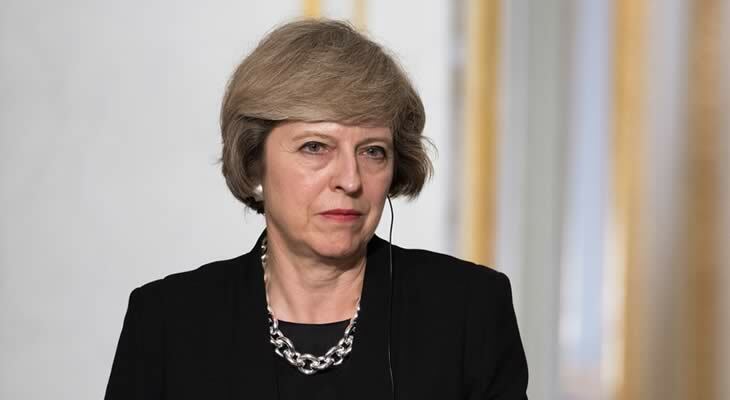 Amid pressure from hard-Brexit supporting Conservative Party members, UK Prime Minister Theresa May is looking to delay Brexit by just three months, while the EU would prefer a longer delay. European Commission President, Jean-Claude Juncker, said this morning that it seemed unlikely that a delay would be agreed to this week. With Brexit still set to take place at the end of next week, this made markets anxious and weighed heavily on the Pound today. The New Zealand Dollar was unable to capitalise on weakness in the Pound today, as investors were hesitant to buy the relatively risky trade-correlated currency. As a relatively risky currency, the New Zealand Dollar is often perceived as unappealing in times of uncertainty in geopolitics or global trade. News that the US and China were about to resume trade negotiations made investors anxious, especially amid speculation that China may back away from the concessions it made in earlier talks. Concerns of fresh US-China trade tensions left riskier currencies unappealing, and the New Zealand Dollar was also unappealing due to weakness in the Australian Dollar (AUD) amid Reserve Bank of Australia (RBA) interest rate cut bets. Due to the fresh US-China trade jitters, New Zealand Dollar support saw little change despite yesterday’s stronger than expected dairy price data. Dairy is New Zealand’s biggest export and NZD often reacts to shifts in dairy trade. A number of factors, both domestic and global, are likely to influence the Pound to New Zealand Dollar (GBP/NZD) exchange rate in the second half of the week. Some of the more important news could even influence the mid to long-term GBP/NZD outlook. Brexit news will remain among the most important developments to watch for Pound investors. In particular, news regarding the potential delay of the Brexit process will be influential. If there is no progress in talks for Brexit to be delayed, no-deal Brexit jitters could return and drive the Pound lower. The New Zealand Dollar’s movement in the coming days could be driven by the Federal Reserve’s March policy decision, US-China trade negotiations, and of course New Zealand’s anticipated Q4 Gross Domestic Product (GDP) growth rate. If the Fed takes a more dovish tone on US monetary policy during its decision tonight, risk-sentiment would rise and the New Zealand Dollar would strengthen. However, if New Zealand’s Q4 growth results disappoint investors they could worsen Reserve Bank of New Zealand (RBNZ) interest rate cut bets and make it easier for the Pound to New Zealand Dollar (GBP/NZD) exchange rate to recover.